← Maestro percussionist Alex Acuna with his new Cajudoo!! So it’s really simple…. Tune the strings tighter for a tighter, cleaner sound and a fast response, and loosen them for more snare sound, higher frequencies and sustain. I personally tweak them a little, then try the cajon and tweak more until I have achieved the desired sound from my cajon. Another little trick you could so is to tape certain parts of the strings against the inside of the front panel of the cajon. This is very useful especially if your strings have started getting a bit tired and you get a buzzing sound. Where you place the tape would obviously depend on where the problem/buzz lies, so you will once again, use your own intuition and try it out, test it, get to know your cajon and get to know what sounds you like and which sounds you don’t like. You could also put a towel inside the cajon to reduce snare sounds/hollow sounds and buzzing. this is a good idea especially when micing up your cajon. Got any advise on tuning strings and buzzing strings? Please share it below with us! I went too hard on mine and now my strings are buzzing like one of those boingy boingy sounding instruments you play with your mouth. I love how I’m not the only one who is having this problem. Thought about buying a new one but remembered the love I have for my slap top and decided to want to mend it instead. Keep beating. I wanted to buy a Cajon and was wodering how many strings are required for a decent beginner level Cajon? I have learnt tabla for 9 years before this. Hi there Heidi. I am a new beginner player, and have been learning from your videos. I bought myself a LP Aspire Accents Cajon. One quick question though.. I can’t seem to get a nice bass sound – somehow it tends to come along with the snare. Could you please share a bit on how I can get a good bass sound? Thanks very much in advance. A good bass sound comes from a good quality cajon! There are many cajons out there in the market (especially beginner cajons) that don’t have a good bass sound, and well, there;s not much you can do if your cajon doesn’t have that sound, I suggest you invest in a better quality cajon perhaps? 🙂 Our Cruz range has a superb bass! Hope it helps, and god luck with getting a good ‘boom’, it’s so important! to be honest the cajon is one of the easiest drums to make a good sound on so if its not sounding bassy it may be the cajon or where your playing it…if your practicing in a small room with a lot of soft furniture and carpet it may not sound very boomy try playing in a large cave ! You mean a meinl Headliner cajon? Some cajons are such a bad quality that no matter how much you tune, you won;t be able to get a good sound from it. It sounds like this is your issue. I’m having a similar issue with my meinl headliner cajon. In order to get a snare sound I have to hit it fairly solidly. I have messed around a bit with another cajon as my son’s school and the snare sound is great with just a soft touch. My cajon has a great bass sound but the snare is …lacking. I’ve tried both tightening and loosening the wire but haven’t gotten much difference. what about messing around with the screws holding the front on? In defense of at least some of the introductory Meinl Cajon’s, out of the various Cajons I tried at my local L&M store, the Meinl Headliner Cajon, with short snare wires not strings, was among the most responsive (https://www.long-mcquade.com/23116/Drums/World-Percussion/Meinl/Headliner-Cajon-Wine-Red-Sides—Birch-Frontplate.htm). Some of the more expensive cajons, some almost twice the price, had nice bass tones (e.g., LP), but the highs were weak. There wasn’t much tone to the wood. Perhaps, their faceplates are too thick and/or made from too heavy of a composite material? The birch faceplate of this Meinl model resonates well, as well as the sides and back of the box. The cajon sounds good no matter which side you play. When you hit the sides or back there is a nice tone to it. The Granite Percussion which is priced similarity to this model has a poor snare design in my opinion (https://www.long-mcquade.com/65021/Drums/World-Percussion/Granite-Percussion/Cajon-Beech-Wood-Satin-Finish-w–Bag.htm). The removable snare wire contraption presses against the faceplate too hard, deadening the bass notes. So for the sale price of $125 CDN, this Meinl Headliner model seems like a winner, in my humble opinion. To get a good descent snare out of the Meinl, one needs to hit the cajon right above the short snare wires on the upper outer sides of the cajon. If you look in the back, you will notice that the faceplate right behind the snare wires has been thinned out a little to make the wood right above the snare a little more resonant. While my friends Tycoon Cajon has a great snare sound, more so than the Meinl, it also has less separation between the bass and snare–bass notes vibrate the snare strings. The snare wires of my friends Tycoon are actually four strings (guitar?) that run across the entire faceplate from bottom to top so its a different design. This allows the wires to be tuned. The modern snare design used in my Meinl, like many other modern cajons, have short snare drum style multiple-wires that lay “passively” on the faceplate and so the tension of the snares can’t be adjusted. One critism I have the of the Meinl I bought is that the upper screws of the faceplate could be recessed a little more so that they don’t stick out at all when lessened for more of a slap tone. But that can be fixed with a little countersinking with a drill. I know there was already a response to your comment, but I was looking at this site because I was looking at some tips on tuning my cajon as I had already spent a bit of time trying tuning it the typical way AKA using the wrench that comes with it as well as adjusting the four outside screws on the top and so I noticed that I had similar problems as well as the same cajon as you and I also had an annoying buzzing sound that wouldn’t seem to go away no matter how much I tried to tune it. But when I read the info above on the main area of the site I noticed that she talked about taping, and I was about ready to try anything so I tried it which for me meant cutting very tiny pieces of gaff tape and taping the strings where I heard buzzing and I ended up with about 8 little strips of gaff tape spread out on the strings and it got rid of the buzzing completely! As for getting a better snare sound loosening the 4 outside screws on the top gives it a better snap and tightening the screws on the bottom will help the bass not sound snary and help you get a desired sound! I found that doing all of these things creates a pretty good sound out of a lower quality cajon and makes this usable for gigs or just having fun!! I hope this helps and sorry it was so long! Happy drumming!! Great to hear this info was useful to you!!! Keep rocking on baby! Just wanted to say thank you for sharing your tips! My new Meinl Headliner sounded so buzzy and flat and after taking your advice it livened it up a ton! Hope you know that your videos have already been extremely helpful. I just built my own cajon, and i do have 2 questions if you are able to answer. 1: How much does the type of wood influence the sound? 2: I used a snare, and it was suggested to cut it in half. But the rattle it gives off has gotten worse. You suggested taping the snare down, but i was going to use wood glue. Would that work? Thanks for your expertise! You’ve been a big help already. Sting cajon is in my opinion much better, it last longer before it gets buzzes and you have the option of building in a tension mechanism so you can set the strings to be looser or tighter…. I think that unless you totally remove the strings OR the cajon is specifically got the feature of being able to remove the snare or strings to get that 2 in one sound, I don’t think it’s possible. Thank you for this advice! I just received a cajon and it had a horrible rattling sound. I taped the strings in various areas and stuffed two towels in there and now I love its sound! The towels helped the most (they cut down on the tone and muffle the strings a little). One towel did not work for me, but two did! Are cruz Cajon and PRK made by the same people? Also I know you were asked this already, but when will your site have more cajons? they say out of stock on the website. We have been sold out for a while now, but we have now got brand new stock in, featuring our new and improved Cruz cajon range. 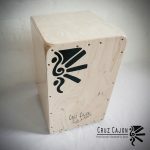 Cruz Cajon is handmade by our own, very experienced artesan team in Spain. We have spent a lot of time and effort finding the right makers for the Cruz cajon and developing our personal sound with the artisans. Prk does not make the cruz cajon, as far as we know they are no longer making cajons. Our new Cruz cajon is miles better than the first models we had made by PRK. Cajon. I am new to cajon as a whole I don’t own one yet. I have tried a few out. I can’t try yours being in the states. there is no where to try one. But it sounds great on youtube. I am debating between the LP Americana string or snare and the mario Cortes by LP and one of yours. I don’t know how the piano would sound. do you ever use it in your videos? your training videos are the best. We no longer make the piano strings as we have now developed a brand new and expanded range on our Cruz cajon featuring guitar strings and our new and improved tuning system. I only use the guitar string cajon in my videos. does your piano string cajon, sound more like a string cajon or a snare. I hope this questions makes sense . We no longer make the piano string models. We have replaced that model with new and improved models with guitar strings featuring our new and improved tuning system. It’s pretty normal that most guitar string and snare cajons develop a buzz, sometimes sooner than later. It’s an important lesson to learn though, if it aint broken, don’t try and fix it, but it makes you feel better to know that it would probably have started buzzing anyway. Now, there is quite a process with the buzzing issues of cajons, its a mixture of tuning the strings AND taping down the strings in certain points. Sounds to me like you should tape down some of the strings. It might take very long or very short, it depends. Also important to know that the buzz might go, or be less at times and this is because, firstly, the wood itself expands and retracts according to the temperature, and this also applies to the strings, so there is a whole lot of factors you need to take into consideration….. 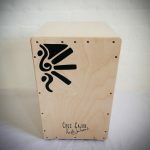 I am not sure of requena cajons as I am simply in love with my cruz cajon and have not had any desire to play another cajon 🙂 They are not so popular in the UK and I have never seen one over here in the stores. i recieved a Meinl Headliner Cajon, Rubber Wood Front drum as a gift and whenever i hit it, there’s a buzzing echo-y sound. is there anyway i can fix it? i tried tuning the strings and loosening and tightening the outer nails in the front but i cant get rid of it. Thanks for your question, it is a very important question and one that gets asked frequently. The answer is yes, you can sort that buzz out, it’s not always easy but it can be done. If tuning the cajon doesn’t work and neither loosening the nails, you need to tape the strings down with duck tape (small parts, the not the entire string. You tap the cajon lightly and press the strings down one at a time with 1 finger, covering each point of each string. when you see that the buzz improves when you push the string against the wood at a certain point, tape the point down and continue doing this over different points on the different strings till you have removed the buzz. It isn’t ideal I must say, and sometimes to remove the buzz (especially if it’s a low quality cajon like meinl) means comploetely dampening the string sound, making it souynd more like a peruvian cajon than a flamenco cajon, but it’s worth trying, and it’s good experience. On the long run however, I would say you should plan into investing in a better quality cajon as a nicer sound motivates you to play more, and this could affect how fast you progress! Hope I helped a bit…. By tuning and tape, I’ve been able to eliminate the buzz from my new Meinl Peruvian Cajone, but I’ve encountered a problem that I haven’t seen in any of my other models; a resonant hum. Any suggestions? Please help, I really enjoy the timbre of this model. Harmonics is a well known issue with cajons, elite pro or beginner. Msot ppl don’t know this, they are aware of buzzing issues, but many are not ecen aware of hramonic. I only realised it was an issue when I first started recording the cajon, only then did I realise oh oh this is not good. truth is that it’s hard to remove this, and thats why we have developed the breakthrough piano string cajon, to avoid not only the buzzing, but also the harmonics. of course some have more harmonic issues than others, and most times it’s barely noticeable, but it does come out more if you tape your strings a lot in certain places, depending on your cajon. I have not found a solution to entirely remove the harmonics from a cajon, you either live with it, find a way to make it as quite as possible or look into another type of cajon, so I can’t help you here but to say you should perhaps think about getting one of our piano string cajons if the harmonics issue is driving you mad. Beginner her so excuse the stupidity of the question but can anyone tell me exactly how and where to tape and what exactly to tape it to? Hello! Good question, you need to figure it out because where you tape would depend on where the buzz is being created. This takes a bit of time to determine and won’t ever be in exactly the same place with every case. I suggest you try a few different places, try the cajon, and find that spot… its a bit of work but its lots of fun to get to know your cajon better this way! One trick i has seen and used to help with unwanted tones or buzz is to dampen the strings slightly by placing Velcro (hook and loop) inside the cajon over the back of the strings. Put a small strip of hook cloth tape (about 2.5cm) on each side of the strings in the middle and then use a piece of loop (the soft cloth side) over the strings. You can tighten or loose the amount of dampening by how tightly you stretch the cloth when you press it over the strings. I own a cajon but it does not have strings, is basically a metal thing that simulates the strings. I want to put strings to the cajon to get a very sound. Can you share with me how can I put the strings? How many strings? Any specific position? If you can share pictures I would appreciate. Thanks for your questions. It sopunds like you have a snare cajon, the snare being the metal thing you refer to in your statement. To put strings on your cajon is more than just a matter of sticking strings to the frontboard, even though you can of course try this. It has to be built into the cajon with a tuning system etc. I would suggest you take a look at some how to make a cajon videos on youtube to get a better idea on how to do this, but it might mean you will have to take your cajon apart and rebuild it from scratch….. Or you could just buy a new cajon with strings, and you can have one with snare and one with strings? Snare cajons do not specifically sound bad, unless it is simply a bad cajon, in which case it will probabaly not sound much better with strings. Hello Heidi! I’m always a big fan of your work and style so it’s a bit overwhelming for me to ask you a question haha! I ordered an LP cajon and it just came in today; I’m pretty new to playing the cajon but I believe I got the basics/sounds down. The thing is, there is this one pitch that buzzes every time I hit it and it’s quite annoying. I turned it around and saw in the inside that there’s a really thick masking-tape looking thing that was taped onto the left two strings (the side where most the buzzing happens). I was wondering if it’s supposed to be there or is this a defected item they tried to cover up with tape? If it’s supposed to be there, is there a way to get rid of the slight buzzing sound? As per your buzzing issue, it is known that many times tape is used to tape down the cajon strings to control the buzzing issue, and it is not unheard of that the makers of the cajon tape down the strings even when it’s brand new, but I have never known them to use thick tape, it was always 1 or 2 thin strips of tape per string, almost randomly placed, just to hold the strings against the wood. Having said that, this can actually cause a lot more buzzing than help it if it is not applied in the right place, etc. It’s a bit of an art to get this down, but each cajon will buzz 9if it buzzes) in different places and so you need to get used the fact that you might very well need to adjust where you put tape on every cajon you will own! However, might I add, that LP is a complete beginner brand, which means of course the sound will not be as good as a pro or student cajon, and also it will be much more prone to having buzzing issues. There is a way to solve this issue, you will need to take the tape off and replace it (get a new tape, make thinner strips) and figure out where you should put the tape. You can hunch behind your cajon, put your finger against the string/s that is causing the buzzing, and gently tap the cajon with the other hand on the TAPA or frontboard, to hear where you must tape the string against the Tapa to get rid of the buzz, then tape the string down in that point. Also if you cajon has the ability to be tuned, this can also help this a lot, as you can simply tighten the string or loosen it to get rid of the buzz….. But it could be that your cajon doesn’t have that option, which is yet another reason to get a invest in a good cajon even from the start if you can. But I am sure you will be able to get rid of the buzz, with patience and perseverence. If you are not happy though, and it was buzzing from the start when you got it, you can of course also write to the guys you bought it from and have it returned if they have a returns policy. I once had a very expensive cajon delivered to me which had a terrible buzz…. I simply told them and they refunded me! I had to post it back though……. Well I hope this answer is thourough enough haha! Been playing snare drum since 5th grade in the 50’s. Have Cajon Snare. Snares tuned to be prominent. Recently, played at Old Time Instruments Jam Session with 30+ people. Cajon compliments these acoustic instruments well. I tend to revert to playing my Cajon like a snare drum using right hand and fingers to play rolls. Bass with left hand hitting lower. Sounds great with the banjo, guitars etc. Is this totally wrong? No there is no wrong way of playing any instrument, in fact, the more creatibve you can go, the more unique and original you will be!!! But there are some basic guidelines as many ppl prefer a set method to start with and once they get the hang of it, slowly let creativity come in to play. with the cajon, being a fairly new instrument, there is really no set school for playing the box, so fire away by all means!!! Got a vid so I can see how you play? 🙂 Would love that! I am an Elementary Music Teacher. I came across your videos on youtube. I teach an Instrumental unit called “World Drums”. Along with my Djembes, Doumbeks, Darbuka, Congas, Bongo and other smaller drums like the Log Drums from Africa I have a regular Bebops Cajon without the snare and a Meinl Snare Cajon. I just added a Meinl Cajon Bongo to the Drum circle this past Christmas. I use the drums to teach tempo, dynamics and rhythm according to their grade level. I found the comments on this blog very interesting about how to adjust your snare. I have a question about adjustment of the screws across the top of the front plate for your natural/open tone and the slap…do you have any tips on this? Also…have you ever worked with young people in grades 1-6 to teach them Cajon technique? I really enjoy sharing percussion with my students and some have gone on to be a part of the Band program in our school district and play Brass, Woodwinds, and percussion. One of my students is going to University in our area on a full Music Scholarship and plays Oboe. He asked me what an Ocarina was in Third Grade and that was the beginning of my Woodwind unit from the Stone Age to teach them about playing woodwinds and also songs from Zelda Ocarina of Time video game plus many other songs. I was very glad they have brought Ocarina of Time back again with the 3-D DS game system. They go on to learn the Soprano Recorder which is similar to the clarinet other woodwinds in Fourth Grade. Of course, before the orchestra it was the instrument of the day in time of Mozart and Bach. Look forward to hearing from you and receiving the newsletters! About how long does it take before the hands toughen up ? Am 3 weeks in and at least 4 to 5 hours a day of practice. Thank you g.
I can’t comment specifically on the hand injury/blisters for the cajon because I started playing this instrument after already playing congas on a regular basis. So, my hands are already “conditioned” to a certain degree. However, my experience with congas may be helpful. Like many newbies, when I first started playing the congas, I really smacked them hard — probably too hard. Also, when playing out live, sometimes the heat of the moment calls for some “spirited smacking” which has caused me some painful bruises and, during Winter months especially, some cracking of the skin. For me, I have found the best remedy for skin issues to be raw shae butter. (I have a good friend who owns a hair salon in my town and carries a lot of skincare products — she raves about shae butter.) At first it feels very greasy, but after 15 or 20 minutes it absorbs into the dry skin and really helps speed up the healing process! I usually apply it after a gig, before I go to bed. If you need to play with banged up hands, you can use standard, white first-aid tape to pad your bruised areas. When playing congas during the Winter months (while humidity is so dry), I will often tape up my hands before playing, making sure to cover the sensitive areas on my hands that tend to split. Like I said, I have not yet had the need to take these measures after playing the cajon because it’s still a fairly new instrument for me. Heidi can comment further, but my thought is that if you’re hands are in bad shape, you may be hitting the surface too hard. Check out some of her vids on technique, which I have found to be quite helpful. Something else to consider is the cajon itself. The first cajon I purchased absolutely sucked — I found that I had to strike it too hard (and it funny places) to get good sound. This resulted in bruises and a sore back because I had to lean too far forward to reach the sweet spot for the bass sound. After watching a few of Heidi’ vids, I noticed that her PRK cajon had incredible sensitivity and a nice low-end sweet spot higher up on the playing surface. She isn’t leaning forward to get the thump! I ditched my old cajon and bought a PRK. This changed everything. I am no longer leaning forward, and I find that I do not have to strike the playing surface hard in order to get a nice, crisp snare sound. I have therefore been able improve my technique, playing more with the fingers. The PRKs are not cheap. If price in an issue, you should seriously consider one of her Cruz models. They are manufactured by PRK, feature the same craftsmanship, and are quite a bit less expensive. Anyway, hope I have not wandered too far off the topic here. Sorry for the super long post. Good luck! Nice long comment, I love it, and so informative, even I got some tips! I know that for sure I would be investing in shea butter when I get into congas, thats for sure! 🙂 And yes, I can definitly agree with you on the plasters point, many times I had pain in the beginning (sometimes it’s inevitable, simply because one does lack the proper technique, and tend to have a crappy cajon to start with, and that matched with a lot of playing everyday, like I did, busking accoutically on the street, is a perfect recipe for PAIN and bruises, blood and blisters…. ) None the less this time is very exciting, I remember even feeling very happy and somehow proud when one of my blisters popped as I was busking, splattering some blood accross my then-white-cajon, which made quite an effect on the audience and the whole performance.. it was fun! Thanks for the great input Tim, many ppl benefit from these kind of comments, I definitely did, it’s wonderful, thanks! I experimented with taking a look at your web site in my ipod touch and the structure doesnt seem to be right. Might wanna check it out on WAP as well as it seems most cellular phone layouts are not really working with your web page. Which instrument should buy to play on the street and as publicize it? Sounds like I’m your lazy student. I’m replying so late. My Cajon is not even two month of age but I play more than two hours a day preparing for a few performances, I know that’s nothing in comparison to the amount of time you play. I guess it is just the snare sound that annoys me sometimes and It gives me undesired overtones. I guess it is the nature of this Schlagwerk La Peru Cosmic, it is far better than many other brands though. Anyways I learned a lot from your advises. Now I know many things about how cajon changes over time and all. I appreciate that. I will try to find you if I travel to London one day in future. you are just awesome. Hey Heidi, thanks a lot. What did you mean by putting the towel inside the cajon? How to do it? I have been tweaking it for a week but the thing is that I cant get rid of that buzzing sound. How about placing a piece of cloth between one or two of the strings and the inside of the front panel? and the snare sound is still so much felt. is that because I have got a Cosmic La peru or it is the tuning? Thaaaaanks.